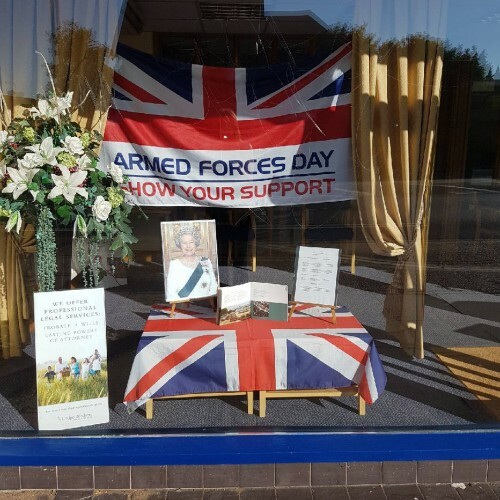 Feltham branch displayed a tribute to her Majesty the Queen’s official birthday on 17th June, with a photograph and short history of the ceremony of Trooping the Colour which marks her birthday. Also displayed was an official programme of the event. This weekend was also the start of Armed Forces week when we are asked to support all of our armed forces personnel and their families in the work that they do and their flag was flying above the portrait of her majesty.